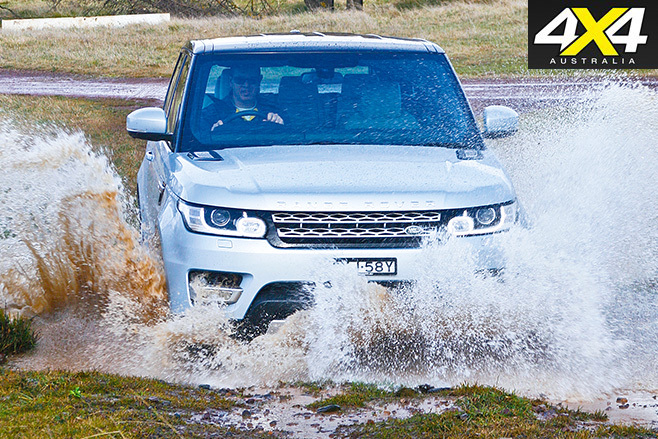 The Range Rover Sport Hybrid breaks new ground in more ways than one. 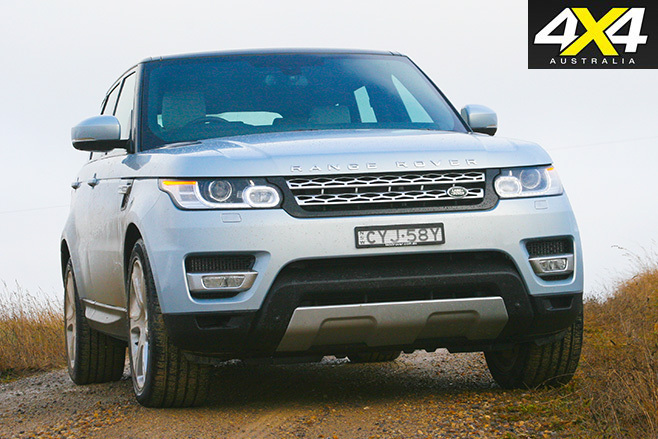 The hybrid versions of the new-generation, aluminium-monocoque Range Rover and Range Rover Sport have finally arrived in Australia. 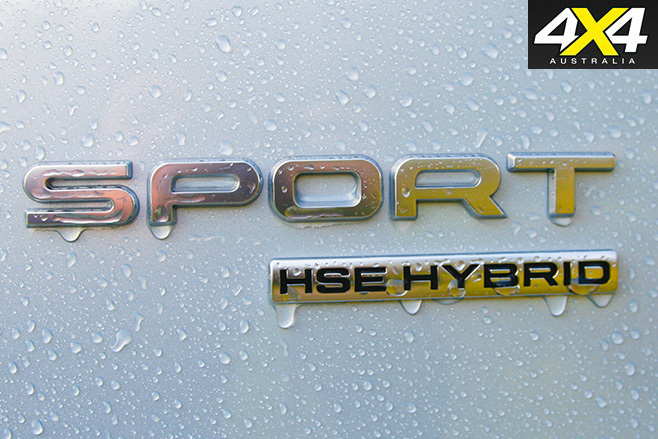 These hybrids are unusual in as much as they are diesel-electric, rather than petrol-electric, and unique in as much as they are the first hybrids with serious 4x4 ability, because they offer the same off-road prowess as their conventionally powered RR and RRS counterparts. Here we are driving the RR Sport HSE Hybrid, the cheapest way to get into any hybrid in the Range Rover/Range Rover Sport line-up. Still, it will set you back $146,900, which is $16,800 more than an equivalent but conventional RR Sport, the SDV6 HSE, and $33,800 more than the lower-spec RR Sport SDV6 SE. The Hybrid’s 215kW diesel engine comes from the MY14 3.0-litre SDV6 and is mated to an electric motor/generator that produces a maximum output of 35kW and 170Nm. Combined with the diesel engine the total output is 250kW at 4000rpm and 700Nm between 1500 and 3000rpm, which is more than handy in anyone’s language. The hybrid system is very straightforward and is based around an electric motor/generator integrated into the eight-speed automatic gearbox. The whole unit is produced by German transmission specialist ZF. The hybrid system also incorporates a liquid-cooled lithium-ion battery pack, held in a protective boron-steel cradle mounted under the vehicle. The battery pack takes up some of the space where the bigger (105-litre) fuel tank of non-hybrid V6 RRS models resides and limits the fuel capacity to 80 litres. All up the hybrid-specific components add around 120kg in weight. The operation of the system is simple. When the vehicle is slowing down the electric motor/generator, driven by the vehicle’s momentum via the gearbox, goes into generator mode and charges the battery pack. When acceleration is called for, the motor/generator goes into motor mode and, powered by the battery, helps the diesel engine to drive the vehicle. 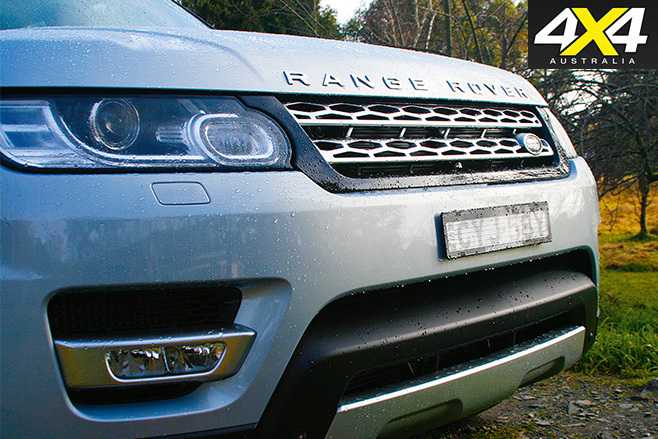 When and where the electric motor helps is controlled by electronics using Land Rover-specific software. Essentially what the system does is capture energy that would otherwise be lost, store it in the battery pack and then reuse it. The benefit is both reduced fuel use and better performance. But the system does have its limitations and it does its best work in stop-start city and urban driving – it contributes far less on the open road. This is typical of hybrids and applies equally for diesel-electric hybrids as it does for petrol-electric hybrids. The reason for this is two-fold. For the charging system to be at its most effective, the vehicle not only needs to be slowing down but also needs the brakes applied. In stop-start city and urban driving this occurs all the time; so all good. But constant on-and-off-the-throttle driving and braking is not needed on the open-road, so the charging opportunities are far more limited and can be non-existent for extended periods of time. The other factor at play is that the electric motor does its best work by adding its considerable torque right from zero rpm, but it doesn’t add a lot of power at high rpm. In effect what happens is that the electric motor helps the vehicle off the line, but has less and less input once underway. Around town, the RRS Hybrid is certainly punchy off the line with a 0-100km/h time of 6.7 seconds. That’s half a second quicker than the MY14 215kW/600Nm SDV6 diesel, upon which the Hybrid is based, and 0.3sec faster than the updated MY15 225kW/700Nm SDV6. The RRS Hybrid’s urban ADR fuel figure of 5.8L/100km is even more remarkable, especially as the MY14 SDV6 claims 8.7L/100km in the same test. We couldn’t get down near the 5.8L/100km figure in the real world, averaging more like 9.0L/100km around town. That’s still much better than the 11.0L/100km that a conventional SDV6 would use in similar urban driving. In urban use, the Hybrid is quite a different experience to the standard diesel. It will initially start and run at low speeds and under low loads (driving out of a carpark, for example) just on the electric motor if the battery pack is well charged. This is an eerily quiet experience and takes some getting used to. From there, the diesel motor cuts in automatically and seamlessly as speeds and loads increase. 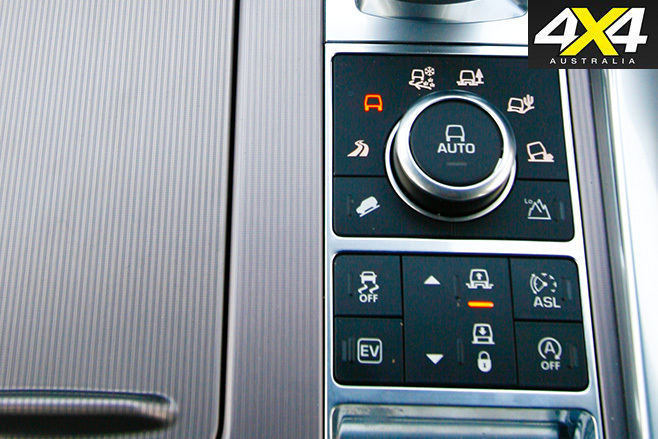 An automatic stop-start function also helps to save fuel and this is fully integrated into the hybrid system. There is also an Electric Vehicle (EV) mode, where you can switch the vehicle to full-electric operation at speeds up to 48km/h and for up to 1.6km, depending on the battery-pack charge. Even when EV mode is selected, if the battery pack runs low, the diesel engine will still automatically cut in if needed. If you select EV mode when there’s insufficient charge in the battery pack the system comes up with the message: “EV mode temporarily unavailable”. On the open road the RRS Hybrid’s fuel consumption is much the same as a standard SDV6 diesel, according to the ADR test’s extra-urban figure of 6.7L/100km verses 6.8L/100km for the MY14 SDV6. And our testing backed that up as the Hybrid used around 8.0L/100km in conditions you’d expect an SDV6 to do much the same. The Hybrid still has some extra open-road performance and overtaking zip, especially from lower speeds, but only when the battery pack has sufficient charge in it. If the battery-charge gauge is accurate, the battery seems to sit at around the middle third of the charge range most of the time for country driving, simply because the opportunities to charge it are limited. It never seems to fully run out of charge, but can sometimes appear to contribute little or nothing. The good news is that the RRS Hybrid drives just like any V6 diesel RRS, even without any assistance from the electric motor. That is, in a word, brilliant. 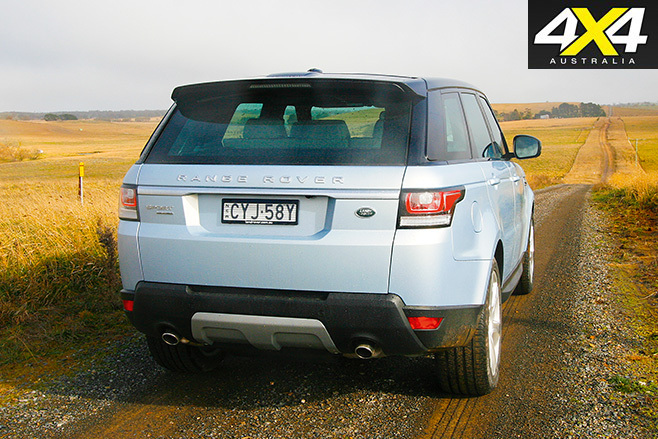 Nothing else offers the same on-road finesse combined with effortless off-road ability, except for another RR Sport or the more expensive Range Rover. That said, it’s hard to make a case for the Hybrid unless you’re driving regime is very urban-based, especially given the extra asking cost of the Hybrid compared to one of the conventional RR Sport six-cylinder diesels. 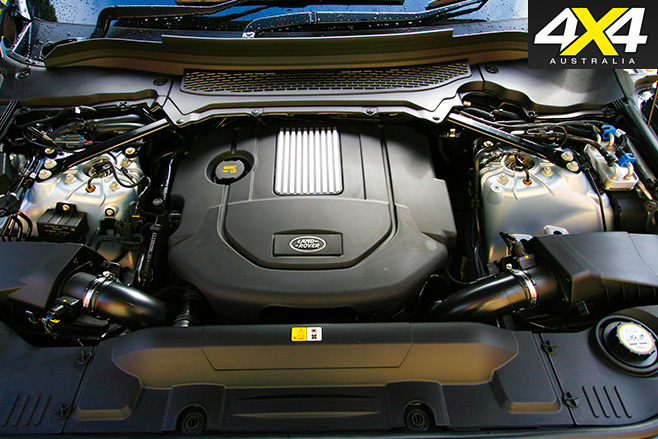 Perhaps more telling is the fact that the RR Sport Hybrid is marginally more expensive than the sublime RR Sport 4.4-litre bi-turbodiesel V8.